Most of us can agree that aloe vera is one of the best home remedies for sunburn, and summer skin care in general. It soothes sunburns, moisturizes chapped skin, and provides cooling relief whenever needed. The commercial sunscreen industry knows this too. Many products that contain aloe vera are filled with chemicals and artificial fragrances. 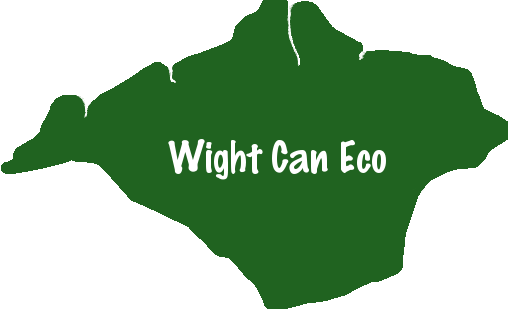 Bright packaging and clever wording make people think they are getting a naturally derived product, but they are not. Even the American Academy of Dermatology recommends against using sunburn creams containing petroleum, benzocaine, or lidocaine. (source) Petroleum traps heat on the skin while benzocaine and lidocaine can irritate skin further. Definitely not what you want when you have a painful sunburn. That’s why it is important to use 100% aloe vera. 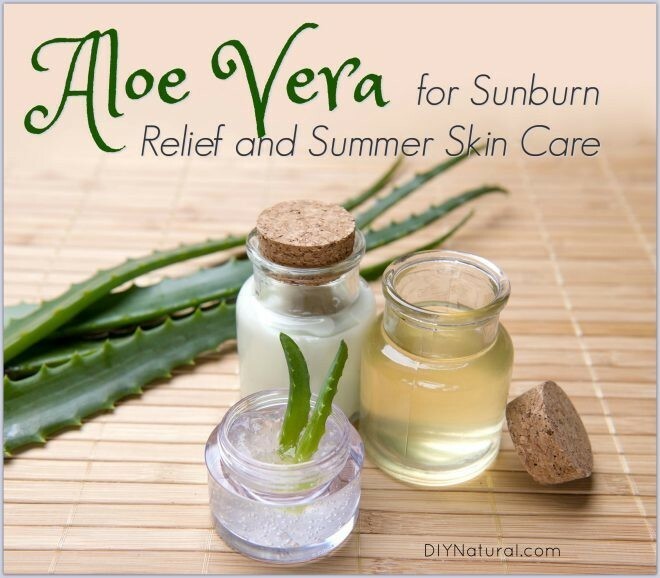 One of the best ways to effectively use aloe vera is to make your own DIY summer skin care. Aloe can be harvested at home (find out how to grow, harvest, and use fresh aloe here) or purchased (make sure you find a natural preservative-free aloe like this). It’s not cheap, but it’s very versatile, making it useful for many different skin issues. Aloe Vera helps deliver moisture to the skin, making it the perfect ingredient in home remedies for sunburn. It also contains many vitamins, minerals, amino acids, and antioxidants. These substances help reduce redness, increase moisture, and heal damaged skin. Aloe Vera is also beneficial for other skin ailments like acne and psoriasis. It has even been recommended as a daily moisturizer and anti-aging treatment. While most people are aware of aloe vera’s topical benefits, it also has many internal benefits. Aloe has been used for periodontal disease, diabetes, and digestion issues. Many people drink small amounts of aloe vera daily for these complaints. However, my favorite ways to use aloe are in these three simple summer skin care DIYs. I make each of these at the beginning of summer and store them in my refrigerator for whenever I need them. I use this simple DIY for my shoulder sunburns to help restore moisture. It never fails that my shoulders will sustain a mild sunburn in the early spring/summer and this remedy is a quick fix. It soothes instantly and often prevents my shoulders from peeling. In a small bowl, combine ¼ cup cold aloe vera gel with ¼ cup cold water. Soak 1-2 wash cloths in the mixture. Lightly squeeze out excess liquid. Keep on shoulders for as long as needed (re-soaking wash cloths as needed). If I have burns on my back, I will use a large hand towel soaked in this mixture applied to my back overnight. It works wonders! This easy sunburn relief spray is made with aloe vera juice, trauma oil, and lavender essential oil. I put it in a spray bottle and spray generously as needed. It’s cooling, soothing, and wonderfully healing. If you’ve never used trauma oil, you are missing out on a great natural remedy. This oil is a blend of calendula flower extracts, arnica flower extract, and St. John’s wort extract. These powerful herbs help to soothe burns and support fast healing. ⇒Get the recipe for this DIY Sunburn Relief Spray. When I really need lasting relief, I bring out this easy-to-make sunburn cream. It uses some of my favorite healing oils like red palm oil, coconut oil, and shea butter. It also contains some of my favorite healing essential oils: helichrysum and lavender. This cream is stored in the refrigerator so that it is always cool and ready to help soothe sunburns. I bring it in a cooler to the beach or the pool and use it frequently to help soothe irritated skin (even when not sunburnt). ⇒Get the recipe for this DIY Sunburn Cream. Of course, the best way to prevent sunburns is to wear a natural sunscreen. Check out my guide for choosing a natural sunscreen here. Aloe Vera for Natural Summer Skin Care was written by Katie Vance.